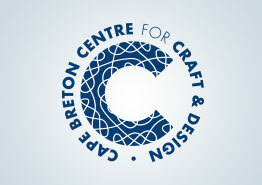 The 2019 Craft Awards at Cape Breton Centre for Craft and Design are the principle form of recognition for leadership and excellence within the craft sector on Cape Breton Island. The awards are given annually during the Cape Breton Centre for Craft and Design’s Annual General Meeting. The Centre presents three awards including the Excellence in Craft Award, the Craft Sector Contributor Award and the Visual Art Award. The deadline for nominations is March 15, 2019.